David’s life could turn out very, very badly. His mother dies suddenly when he is an infant. Then at age two, he is gone. Vanished, with his father, and abandoned in a far-away place. His future hangs on a Letter from Alabama, a piece of paper that must travel hundreds of miles in an envelope. Then it must land in exactly the right place in a busy office where nobody is under any obligation to read it or pay any attention to it. This is the true story of that letter, and all that will transpire because of it. It’s the story of human failure, and human triumph. Forgiveness and redemption. It is a testament to, and a prayer of thanks for, good and decent people everywhere who stand up for a child when they don’t have to—when they have nothing to gain and perhaps much to lose. It’s a tribute to those who see the potential in a young person and give that person a chance to be the best that he or she can be. They are the heroes for whom this story is now committed to writing. David Workman is an American writer and editor with family roots in the U.K., the Netherlands, Alsace, and Germany, among other places. He was a journalist for daily newspapers in the U.S. He authored ‘Washington: A Centennial Portrait,’ a book about the State of Washington, whose best-known city is Seattle. He then entered public service as communications director for several state agencies in Washington. He was executive editor of books and websites on natural resources, environment, and social and health services. He was a credited contributor to ‘World Book Encyclopedia’ and a credited source for the ‘Longstreet Highroad Guide to the Northwest Coast’ by Allan and Elizabeth May. He operates Workman & Associates, a communications consulting firm in the Greater Seattle Area. David and wife Clover enjoy their four children and their families, including grandchildren. In their free time, they travel and explore. 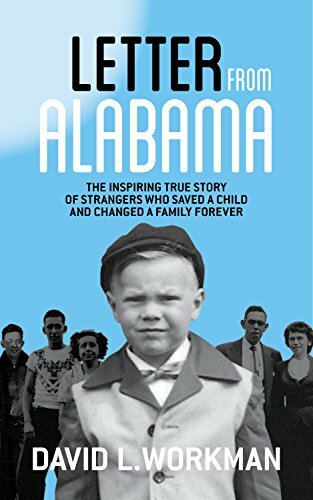 David is the author of ‘Letter from Alabama,’ a book unfolding the remarkable and inspiring true story of a child orphaned, abandoned in a far-away place, then saved by strangers and by people who stepped forward to give him a life.